Internet based e-commerce business Alibaba Group Holding Limited’s founder Jack Ma had been announced to be the richest man in China. Jack Ma was reported to have $25 billion in his name. On its annual rich list, Huyun Report, a Chinese based luxury mag said that despite some new on Chinese economy, it had been a good year for the Chinese businessmen who owns large companies in China. Ma had $800 Million worth of shares in Alibaba that he had started 15 years ago. 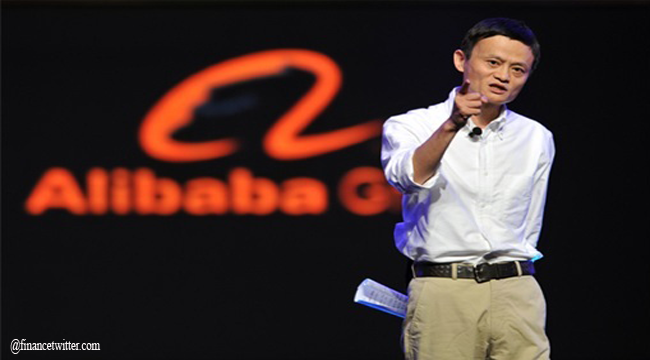 Alibaba had then been listed in New York Stock Exchange, after a weekend his net had gone to $17 billion. Last year, the tycoon was not even listed in the top 20 of the wealthiest men with his estimated worth or $4 billion. The former English school teacher had his company raised a total of $25 billion. His co-founder and now Vice President of China investment team in in Alibaba, Simon Xhie also made the list. Wang Jianlin, property tycoon, of Wanda Company had dropped to second place with a fortune of $24.2 billion with the decreasing Chinese real estate. A new name on the list, Li Hejun is a tycoon in Hanergy, a renewable energy firm, who teid in the third place with Wahaha’s Zong Qinghou having the net worth of $20.8 billion.